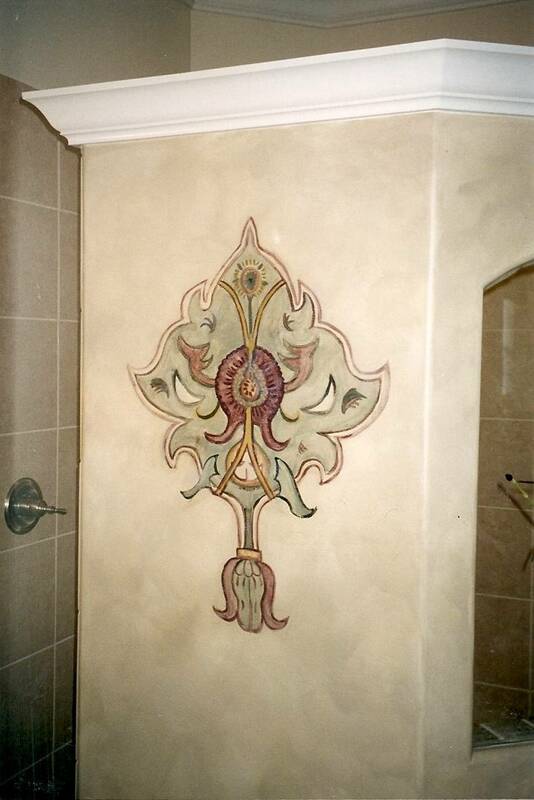 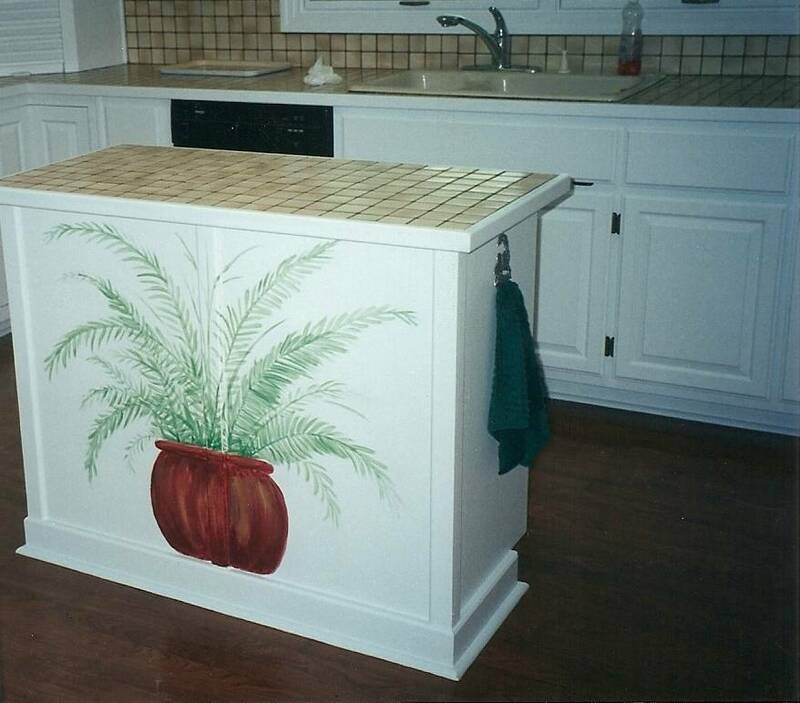 Painted effects can be used to give aesthetic appeal to practical spaces like kitchens and baths. 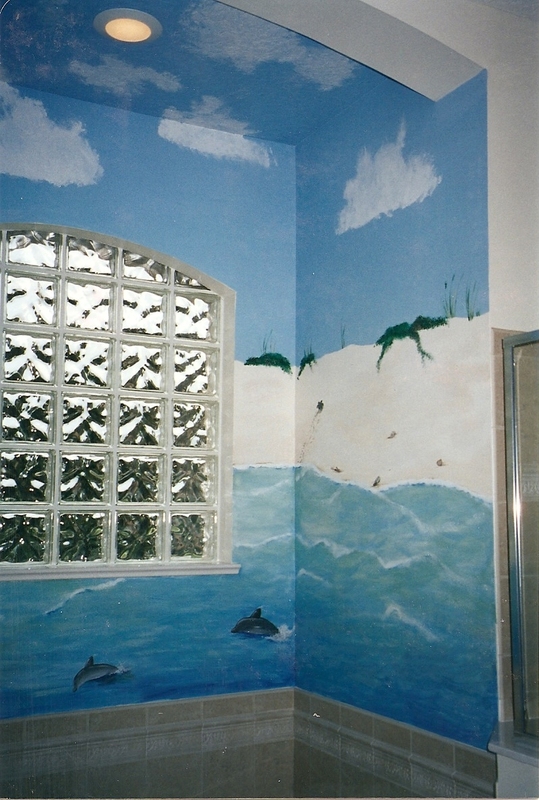 Navy and turquoise are sponged on a bathroom wall in Orlando. 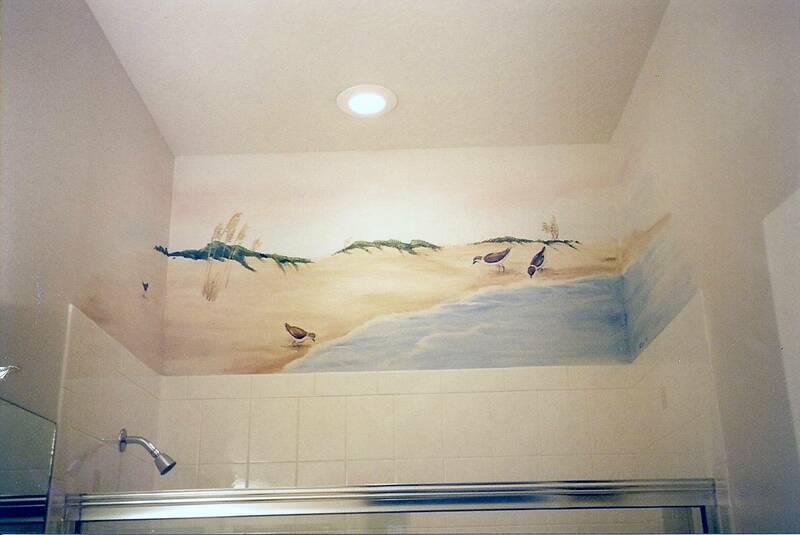 Beach scene over shower stall. 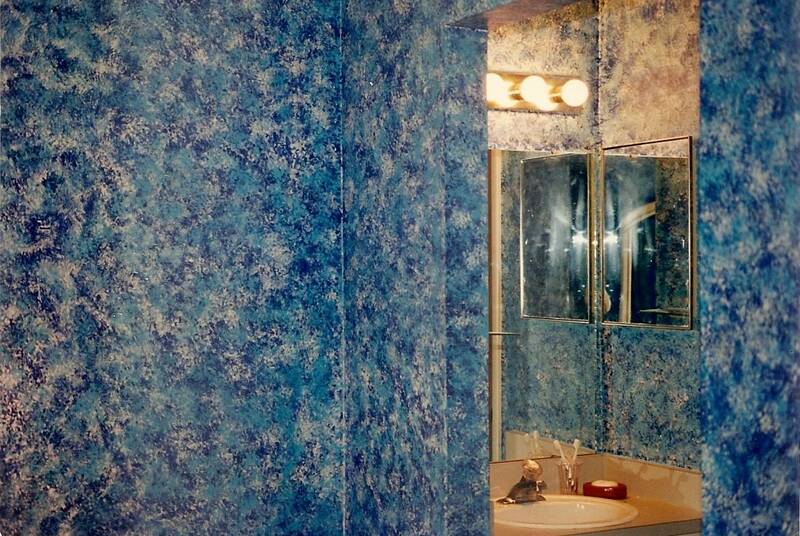 The wall designs match the rug on the bathroom floor. 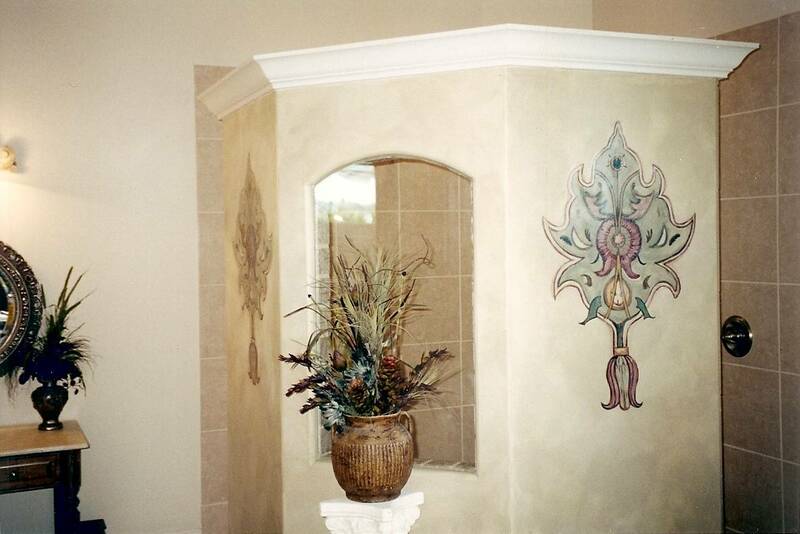 Detail of the wall design. 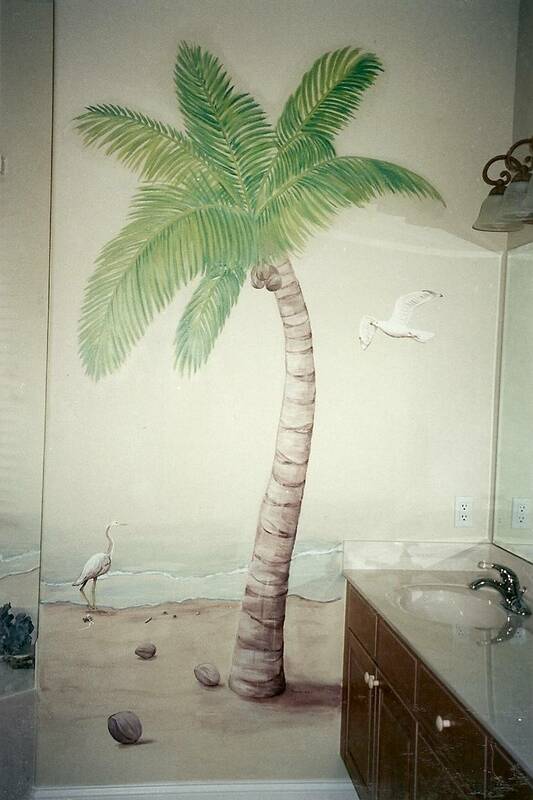 Beach scene in a bathroom.